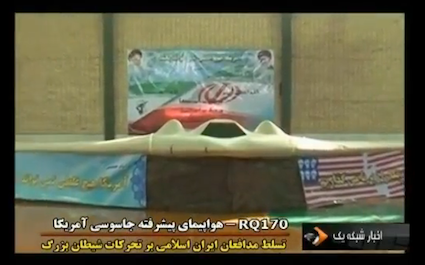 The film was captioned “RQ170 – advanced US spy plane” and carried on the Vision of the Islamic Republic of Iran Network 1 channel. The images show Iranian military officials inspecting the aircraft, which appears to be undamaged. US officials have acknowledged the loss of the unmanned “stealth” aircraft. Pentagon officials said they were concerned about Iran possibly acquiring information about the technology.